Is Neuromarketing Influencing Pathological Shopping Behavior? 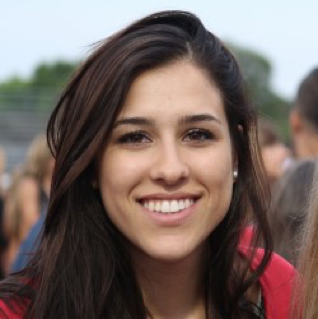 Elena Lopez is currently pursuing her BBA at Goizueta Business School and is also pursuing a degree in Neuroscience at Emory College of Arts & Sciences. She is involved in volunteer-related organizations that help those with limited resources and offer free consulting services, such as Volunteer Medical Interpretation Services and Emory Venture Strategic Partners. Elena developed a curiosity for neuroethics after attending the NBB Paris study abroad program and the 3rd international Neuroethics Network conference. She hopes to combine her passion for science and business in her future career goals. Just over a month has passed since the biggest holiday shopping season of the year, and many Americans are already planning how they will financially recover from their overspending and failed budgeting plans. Financial sites like Forbes and the CNBC personal finance page have already come out with articles titled "Oops, you overspent on the holidays" and "Holiday spending hangover? Get your finances back on track" in an attempt to help consumers recover from financial losses. Months before the frenzy began, NBC reported that the National Retail Federation forecasted sales for November and December 2016 would increase 3.6% from last year to reach a whopping $800 billion dollars- with 90% of those sales consisting of online purchases (Weisbaum, 2016). With the growing presence of the digital component in sales and advertising, interactions between consumers and retailers can be tailored to the individual and offer greater shopping experiences. In the same NBC report, Deloitte stated that digital interactions likely influence two-thirds of every dollar spent (Weisbaum, 2016). According to the 2016 Holiday Purchase Intentions Survey conducted by the National Purchase Diary (NPD) group, a market research company that specializes in consumer shopping trends, more than 20% of consumers went over their planned budgets in 2015 (Weisbaum, 2016). Another finding also indicated that a year later, 22% of people were still paying off last year’s holiday purchases (Weisbaum, 2016). While it is not uncommon for some people to get euphoric during the holiday season and overspend, there could be a significant risk for those who are particularly vulnerable to over-spending. In today’s consumer world, both the myriad of options to choose from and the abundance of discounts tagged throughout stores and in online promotions are likely tapping into shoppers’ impulse control (or lack thereof). In short, advertisements and product placements could be contributing to overspending, especially in particularly vulnerable consumers. A small number of consumers have an especially hard time controlling their shopping urges. 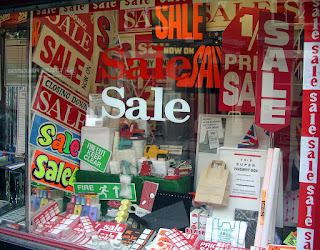 Compulsive buying (CB) is a term that describes an individual’s impulsive and irresistible urge to purchase an item. 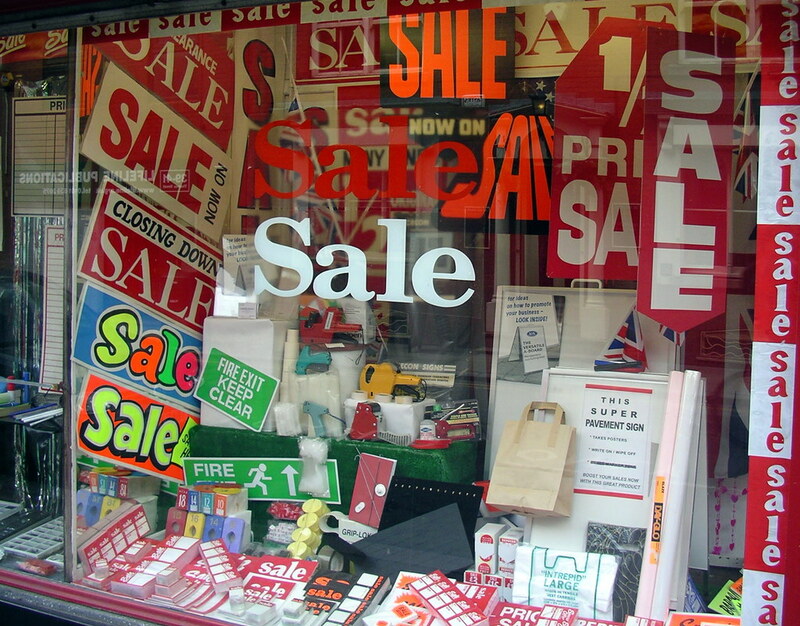 This urge only fades once a purchase has been made and results in a ‘high’ for the consumer (Weinstein et al., 2016). Compared to other ‘addictive’ behaviors like sexual, Internet, and gambling addictions, CB is associated with those who have higher incidences of personality traits that involve novelty seeking, harm avoidance, and reward dependence (Granero et al., 2016). Based on a nationwide telephone survey conducted in 2004 that assessed the prevalence of compulsive buying in the U.S. adult population, researchers estimated that 5.8% of the 2,513 respondents could be classified as compulsive buyers (Black, 2007). In a more recent meta-analysis conducted using three different databases (Medline, Web of Science, & PscyhInfo) in hopes of identifying all articles mentioning CB, researchers found the prevalence of CB to be around 4.9%, and higher in certain subgroups: 8.3% for university students and 16.2% in shopping-specific examples (Maraz et al., 2016). In a Norwegian study investigating the development of a new set of tools to aid in determining shopping addiction, researchers developed a new scale that incorporated psychometric properties that would capture core addiction criteria for the diagnosis of CB, which had been previously ignored (Andreassen et al., 2015). The scale developed was called the Bergen Shopping Addiction Scale (BSAS) and included elements of addiction to ensure its validity in an addiction framework (Andreassen et al., 2015). The study demonstrated that the BSAS could prove valuable in epidemiological studies and treatment settings because the scale had reliable psychometrics, structure, convergent and discriminative validity, and effective content, after relationships from various statistical methods were considered (Andreassen et al, 2015). While substantial debate exists around the efficacy of such scales, 18 million Americans could be affected if these studies prove to be generalizable to the whole country. Due to the pervasiveness of people displaying addictive-like symptoms while shopping, (including: cravings, loss of control, psychological & physical withdrawal symptoms, development of tolerance, and more; Alavi et al., 2012), CB was proposed for inclusion in the DSM-5 as a behavioral addiction along with other pathological behaviors like gambling (Grant & Chamberlain, 2016). However, unlike other addictive behaviors like drinking or doing drugs, shopping is often normalized by society. CB suffers from the same conceptual tension as many behavioral addictions in that it seems to be less legitimized than substance-related addictions. After significant debate, CB was ultimately rejected for inclusion in the DSM-5 (Grant & Chamberlain, 2016); even so, the repetitive and debilitating behavior affiliated with CB results in a multitude of issues ranging from substantial debts to damaged relationships (Black, 2007). Currently, the biology of CB and treatment strategies for CB remains unresolved. Recent findings have concluded that behavioral addictions have similar neurochemical effects as substance addiction, inducing the involvement of specific reward systems (e.g., dopaminergic system) (Alavi et al., 2012). Although the validity and reliability for the diagnostic criteria for CB is still under question, and no formal criteria has been accepted into the DSM, CB diagnoses involve face-to-face interviews assessing a person’s buying behavior and attitudes, the person’s associated feelings, and how often the idea of buying and shopping runs rampant in their mind. This method has been widely accepted by the research community (Granero et al., 2016). Though treatment options for CB are still being explored and there has been an increase in patients seeking treatment for CB (Granero et al., 2016), no gold-standard exists. Researchers have investigated the current status of treatments and have directed future potential research plans for CB, spanning across both psychotherapy and pharmacotherapy (Hague et al., 2016). Other recent experimental evidence suggests a core component of treating CB lies in the training of impulse control (Hague et al., 2016). In pharmacotherapy treatments, selective serotonin reuptake inhibitors (SSRIs) did not show significant efficacy in regards to treating CB when compared to a placebo (Hague et al., 2016). Nonetheless, a lack of clarity clearly remains in both these treatment options and further longitudinal studies should be implemented to fill the gaps current research provides. In the past decade, the focus on neuromarketing has proliferated as top brands, like Coca-Cola, Google, and Disney, have started using neuroimaging techniques to improve their marketing strategies (Hartston, 2012). Neuromarketing involves using a plethora of scientific measures, including fMRI brain imaging, EEG, heart rate, breathing patterns, and eye movement to gather data with the hope of increasing the efficacy of ad placements and product promotions (Hartston, 2012). Neuromarketing services, by design, tend to assist in creating advertisements and product layouts that bypass a consumer’s ‘rational’ decision-making to instead influence the consumer’s unconscious buying motivations. According to one study, advertisements that maximize emotional and brand attachment and activate various reward pathways (like the mesolimbic dopaminergic pathway) in participants’ brains generated the greatest response in “willingness to pay” (Hartston, 2012). This could not only affect the general population, but may also elicit more powerful effects for those who suffer from CB. In an fMRI study, researchers scanned brains of participants who were identified as being compulsive or non-compulsive buyers during purchase decisions using strict criteria, such as currently undergoing psychotherapeutic treatment due to their CB behavior (Raab et al., 2011). Raab and colleagues found that being presented with a product and its price resulted in higher striatal activation in compulsive buyers compared to non-compulsive buyers. These data suggest that hyperactivation of dopaminergic regions is associated with compulsive shopping behavior (Raab et al., 2011). For those who suffer from CB, having hyperstimulated reward areas may undermine the individual’s conscious decision to avoid making such purchases and may instead promote impulse decisions to reoccur unconsciously, similar to a drug addict being unable to resist a craving against better judgment (Hartston, 2012). The difference between traditional marketing and neuromarketing research is in the method of data collection and what those results reveal. 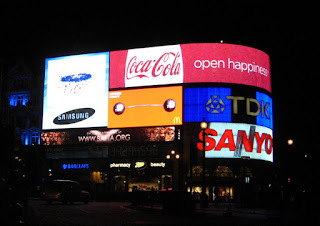 Both methods of marketing research work towards the same goal of improving advertisement strategies and brand management for the product and/or company; yet, because neuromarketing discloses ‘hidden information’ that normal focus groups would not, certain results derived from neuromarketing research could manipulate behavior beyond what traditional marketing methods notice. For example, in a World Advertising Research Center conference, Jon Harper, the global head of brand and communications for Synovate, presented his findings of consumer responses on a controversial Lebron James ad, using both traditional and neuromarketing techniques. He found that the ad performed poorly using a traditional marketing survey, but surprisingly scored well on SRI’s “Neuroengagement score" that tracks EEG and eye-movements (Dill, 2011). The participants rated being upset by the ad—with overall negative feelings— but the neuromarketing research revealed that the viewers were extremely engaged and held a high level of attention throughout the ad (Dill, 2011). As this instance indicates, companies can use neuromarketing methods to augment traditional marketing methods to construct the most convincing marketing strategy for their product. Market specialists can also directly determine the specific content in ads that activate reward sensitive areas and grab the consumers’ attention, with the hope of challenging impulse control. As with most impulses, time usually acts as a protective barrier and reduces the urge to act (Hartson, 2012). However, online shopping allows consumers to have non-stop access to buy almost anything at anytime, placing compulsive buyers at an all-time risk. In a study investigating online CB as a specific form of Internet addiction, researchers found that individuals with a high sensitivity for shopping excitability, characterized by their compulsive buying scale ranking and a craving assessment, were at a higher risk of using online shopping sites excessively and developing online CB because they were more prone to the gratification of their online purchases, as compared to those with no CB tendencies (Trotzke et al., 2015). Companies like Amazon, through a careful cultivation of algorithms, promote a considerable number of products that the consumer may not have even wanted to buy in the first place and enable the consumer to peruse merchandise at their leisure. 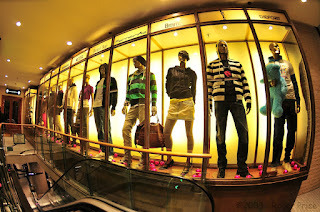 A study investigating consumers’ attention in shopping situations used eye tracking to evaluate the attentional processes that comprise CB (Buttner et al., 2012). The results demonstrated that compulsive buyers were more likely than non-compulsive buyers to get distracted by products unrelated to their goal, suggesting there is an attentional bias present in compulsive buyers (Buttner et al., 2012). Products and services that are known to be harmful to consumers, like tobacco and indoor tanning, already have warning labels attached to them. What if an ad could influence a consumer to exhibit pathological behavior and continue to spend in the face of negative consequences like extreme debt or dangerous hoarding? Should these ads also then carry warning labels? What prevalence of CB is necessary in the population before officials step in and enforce regulations to protect vulnerable populations? Neuromarketing has been seen to augment (instead of compete with) traditional marketing methods. Traditional market research is already subject to principles of ethical marketing that seek to promote fairness, transparency, and responsibility in advertising. While neuromarketing research could unveil data that determines which advertisements activate the striatum, it is still uncertain whether these findings could actually promote impulsive-compulsive behavior more than traditional marketing campaigns (Javor et al., 2013). That is why it is even more important to start thinking about guidelines that would hinder predation on vulnerable groups if newer studies reveal the true detrimental impact of neuromarketing on those with impulsive-compulsive buying behavior. Already, a group of neurologists agree that some individuals, including children, minorities, and those with psychiatric disorders, need special protection against specifically targeted neuromarketing practices (Javor et al., 2013). Furthermore, since only a small percentage of the population exhibits CB and neuromarketing is still relatively new, studies have not yet investigated the prolonged effects of the use of neuromarketing on the potential increase in CB prevalence, the development of a more severe compulsion, or its impact on other pathological behaviors. Finally, as neuromarketing has become more mainstream, neuroethicists have an important role in mediating how such brain research is interpreted and applied to advertisements (Ulman et al., 2015). 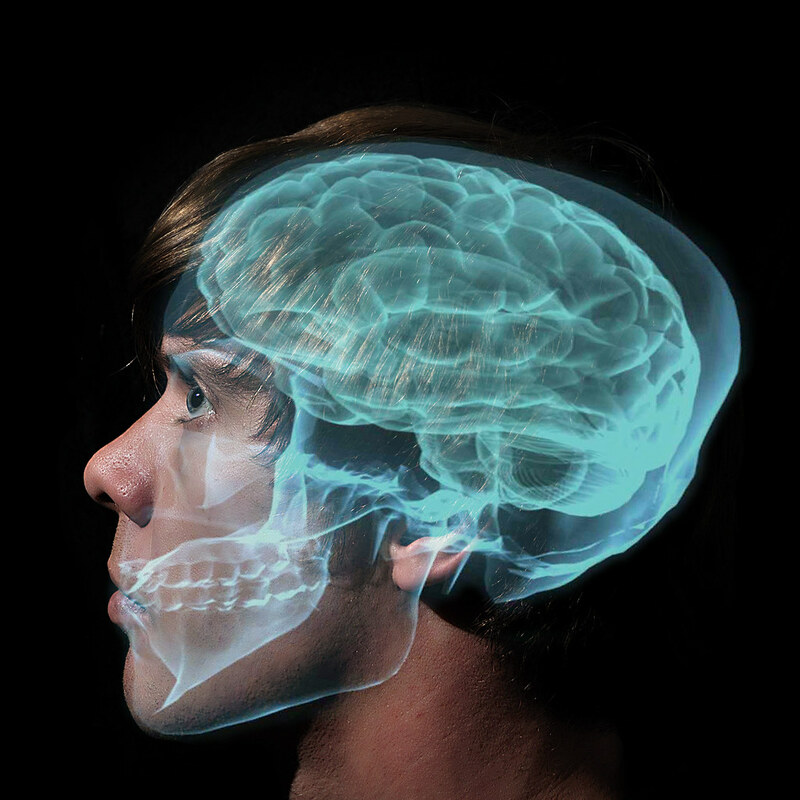 More specifically, the application of neuroimaging techniques raises key ethical questions related to personal privacy. With the potentially revealing and personal data that neuromarketing research can uncover, what safeguards can be put in place to protect study participants in the consumer arena? And who will ultimately own these data, the participant? Or will the data exist as a company asset to be bought and sold? Three groups of experts should be consulted in the formation of these guidelines: those who can acquire the necessary data and analyze it correctly, those who can advice on the value conflicts of stakeholders in the neuromarketing enterprise, and those who can provide patient stakeholder perspectives. 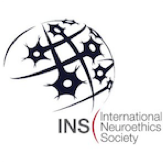 Moving forward, new guidelines incorporating the knowledge and insight of neuroscientists as well as the input of neuroethics experts and the professionals from groups such as Debtors Anonymous could be extremely valuable. Maraz., A., Griffiths, M. D., Demetrovics, Z. (2016). The prevalence of compulsive buying: a meta-analysis. Addiction, 111(3), 408-419. Retrieved from doi: 10.1111/add.13223.